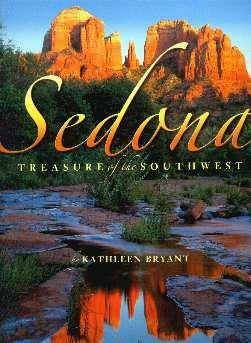 Many people have moved to Sedona, many creative people and people seeking tranquility and spirituality. There's the bonus of being able to enjoy some rather spectacular scenery and rock formations, as well as the local flora and fauna. With a mild climate and an elevation of 4,500 feet, and home to around 15,000 people, Sedona seductively attracts visitors from around the world as well as those looking for somewhere else to live. We're given information on the rock formations, which I found interesting, and the area isn't called Red Rock Country for nothing - the rocks really are red and they leave an imprint on your mind. I recall the "redness" of this part of the country from a brief visit nearly twenty years ago, which has never left me. A geological outline is also given explaining these natural phenomena. Rather surprisingly, there is so much plant life in this area which I didn't realize, and will be a pleasure to discover for myself next time I go there. Not so, however, with the insect community. Wonderful creatures such as coyote, quail, elk, falcon, and more are at home in this area despite the onset of the human race. Cultural History follows and also Nearby Attractions. This book, like the others in the Visual Tour Series, is full of the most glorious and alluring photographs. True works of art and a delight to behold. Also listed are annual events and various website addresses. Conclusion - A wonderful and interesting look at this Arizona desert area.